A new experiential activation by WWF-Australia in Sydney showing what the state would look like sans koalas is just one a strategic plan to get more weight behind deforestation, its CMO says. WWF-Australia, a not-for profit focused on environment and species protection, joined forces with Starcom and Habitat Media last week to run a physical activation giving Sydneysiders the opportunity to experience what a future looks like without koalas in the wild. The #savekoalas campaign featured a pop-up koala museum at Sydney’s Overseas Passenger terminal, set in 2050, and displaying taxidermy koalas and skeletal remains. Participants also got the opportunity to engage with content to learn about what Australia was like when koalas were thriving, and how we could have prevented their demise. The activation ran for a full day on 17 November and also featured a petition encouraging visitors to help demand action to stop excessive tree-clearing, one of the biggest contributing factors to the koala’s demise. It’s estimated fewer than 20,000 koalas are left in NSW and are on track to be extinct in the state by 2050. WWF-Australia CMO, Yves Calmette, told CMO the Sydney campaign was part of a global objective to raise awareness and support for key environmental issues. A key one is the loss of biodiversity, something outlined in the organisation’s biennial research effort, Living Planet Report, released in October. According to those findings, about 60 per cent of the world’s biodiversity has been lost in the last 50 years. In addition, WWF-Australia has partnered with the UN, and is working in build support for addressing these issues in advance of 2020, a “super” year when a number of key international environment policies, such as the Paris Agreement, are up for renewal, along with the major conference on biodiversity also run by the UN, Calmette said. Deforestation was a key focal point because Australia is the only developed country to be in the hottest spots for deforestation activity, Calmette continued. The problem is many citizens are not aware of it. What’s more, environmental issues locally have become highly politicised, making it more difficult to get bi-partisan support for solutions to such issues. WWF’s experiential activation was supported by digital and targeted out-of-home spend, but the primary intention was gaining earned media impact. In this vein, it’s exceed expectations, with SBS, Channel 9, Channel 7, radio and overseas media covering the campaign. The campaign was also deliberately timed to occurred several months before the NSW state elections in the hopes raising awareness would put the environment back into the spotlight, Calmette said. The museum was situated in a dimly lit container utilising upcycled or biodegradable materials. At the end of the visit, visitors were asked to create a short video message, encouraging others to sign the online petition. The video was sent to their mobiles directly in order to share on social platforms. Calmette said this user-generated content will be shared via WWF-Australia’s channels as well, delivering additional amplification opportunities. 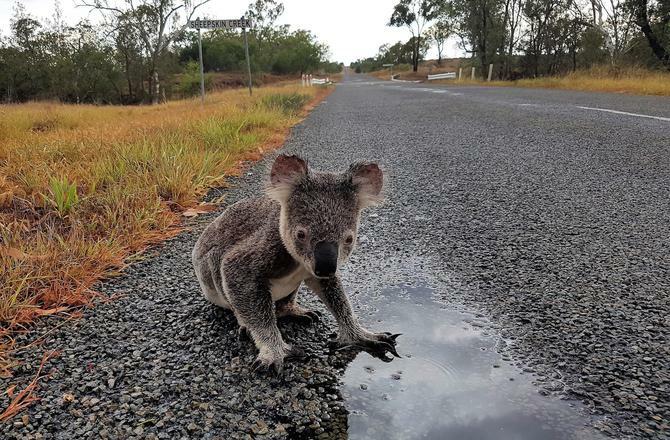 The Sydney campaign took its cues from a campaign run by WWF-Australia last year in Queensland, again timed to occur several months before that state’s election. Calmette said deforestations subsequently became an election issue, with the law on deforestation changed as a result. “We launched [#savekoalas] in September, mainly via social and digital channels, and built momentum. This activation was the final step combined with media,” Calmette said. Starcom account director, Andrew Lyons, said the work with WWF is all about driving impact. “The impact we hope to bring this time is the reduction in deforestation to give one of our favourite Australian icons a fighting chance,” he said. Habitat Media managing partner, Mark Vincent, compared losing the koala to losing the Sydney Opera House. The koala museum was aimed at spreading the message far and wide through an iconic part of Australia’s culture, he said. “By incorporating a social platform that records a message and instantly makes this shareable, we have ensured that we maximise awareness,” he added.